Join us for a tour of the Tsongas Industrial History Center in Lowell (Happy 100th birthday National Parks!). Afterwards, join us at The Old Court for nosh and socializing. Please let us know if you will be attending either part so we can let them know rough numbers. Thanks! 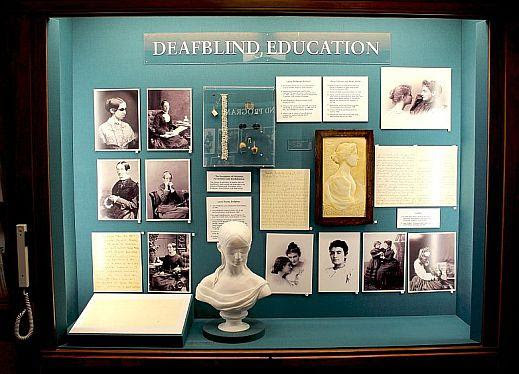 Thursday, August 11, we have been invited to visit the Perkins School for the Blind Museum with Jamie Gordon, archivist Jen Hale, and research librarian Jennifer Arnot. No need to RSVP, we look forward to seeing you there! 175 North Beacon Street, Watertown, MA, 02472. Visitors usually park in the Beechwood Avenue parking lot, which is off of North Beacon Street across from the Watertown Diner.